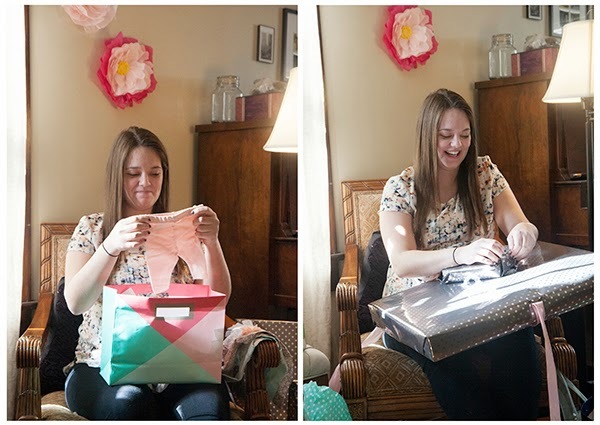 On love day weekend this month I was able to spend some time helping shower a sweet, new mom-to-be. It was the cutest ever. 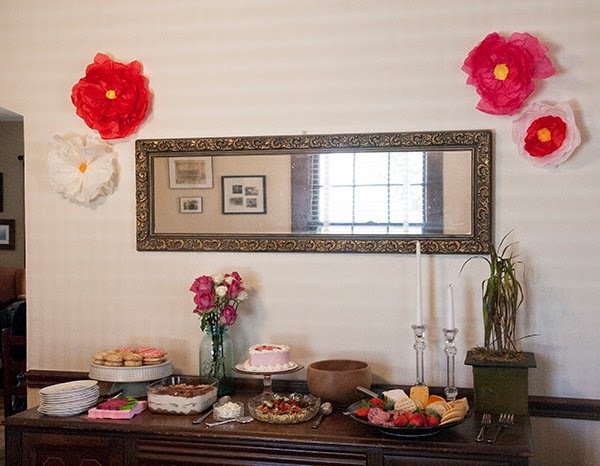 Valentine's Day mixed with a little girl baby shower is so perfect! 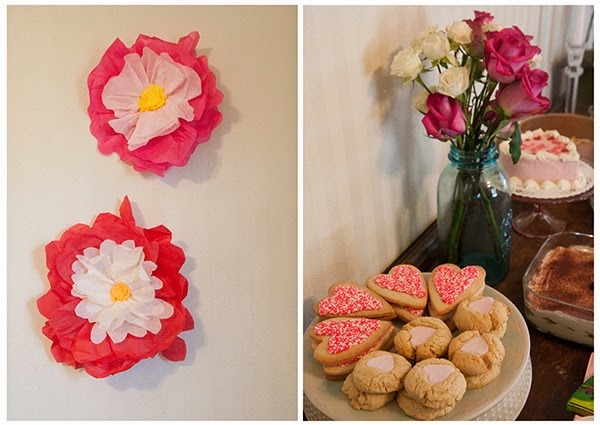 My friend, Colleen, made some of the coolest paper flowers and brought some tasty treats from Magpies Bakery where she works. Tell me this isn't cute. We had an afternoon shower so our menu was generally desserts. The mom-to-be, Grace, loves tiramisu so we had that. We also had a fruit, cheese and meat tray along with a veggie and hummus dip. I love hosting little gatherings. If you don't usually host things give it a shot. Nothing has to be over the top. Simple or even quality store-bought food is perfect. Keeping a menu short and sweet (ha!) is easy and perfect. I had a drink station as well complete with hot water for tea or cocoa. We cozied up with our warm drinks, snacks and squealed over the most precious little people items.